In week 2, the "RELEASE" Phase of the Ultimate Reset, we add a fourth supplement called Detox. This supplement is also a powder, though it looks almost like high-quality potting soil, and it is taken 3x daily mixed with water. The taste is like a cool lemon tea but there is naturally a texture to it since the contents of the powder do not mix completely with water. If you're ever added psyllium to water for fiber or to treat constipation, the texture is a bit like that. The Detox is sweetened with Stevia but I found that adding a little extra Stevia made it much easier to take. This is a bottle of Oxygenize, a bottle of Mineralize, a packet of each Alkalinize and Detox, plus a couple packets of Truvia and the Optimize capsules are tucked into their special dosage pockets on the side of the Ultimate Reset Supplement Caddy. I zip the little caddy bag and toss it into Nick's cooler along with 2 paper cups and spoons to mix the Alkalinize and the Detox when necessary. (2) TINKLE! With all the water you drink, you'll have to! I found that I spent a lot more time in the Ultimate Reset Facebook Group pages this past week than I had before, and certainly more than I expected. I found it helpful to see what others were doing, use that to gauge my own success so far, and also beneficial to offer suggestions or tips for others. It surprised me that so few people realize the flexibility of this plan. I'll explain more with the pictures, but as an example: I look at a recipe and I see more than one thing. I see the recipe as a WHOLE, but I also see the individual ingredients. In Week 1 there was a recipe for Nori Rolls which I knew would be like sushi, almost like California Rolls I guess because of the cucumber, carrot, and no fish. But I didn't look at that recipe and say, "Ew! I can't eat that!" I looked at the ingredients and said, "What can I do with this to make it basically the same thing but in a form my husband and I can both enjoy?" Anyway, just as I did last week, I swapped recipes around or adjusted slightly to accommodate both our needs and tastes and we had no trouble this week. I actually felt great for the majority of Week 2, but the past two days I have been really tired so I'm not sure what happened with the switch to Week 3 but I hope I figure it out soon! I did not have any stomach problems throughout the entire week 2. I didn't have heartburn or GERD/acid-reflux symptoms, I didn't have any bloating or gas, no constipation, nothing. Week 2 was excellent, I think, and the menu was great! Nick's lunch for Week 2 Day 1 (Day 8) - Prepared in advance since he brings it to work. The menu called for Avocado but we don't eat Avocado so I replaced it with the Lentil Lime Salad. Also - We don't like this "salad" cold so we generally reheat the Lentil lime Salad and eat it warm. I did not have any more honey so instead of mixing up the dressing recipe I used Bolthouse Farms Olive Oil Vinaigrette in Classic Balsamic. When looking at the ingredients, I was comfortable using this dressing as an alternative and honestly, I like it a lot better because there's less oil in it. Studying Monday afternoon... The Ultimate Reset bracelet serves as a reminder of my commitment. I wear it almost every day, at least during the day, to help avoid mindless snacking. The strings I left dangling so they would contact anything I reached for as a physical reminder and I usually wear it on my dominant hand. Dinner for Day 8 - Pinto Beans and Rice, Small Microgreen Salad replacing the Zucchini, and Green Beans cooked with garlic, lemon, and a little olive oil. Fruit Plate, but I had an appointment so I took mine to-go! The menu had Miso Soup, Avocado, and Chickpeas as Breakfast but I can't eat that. For me, Breakfast has to TASTE like Breakfast. Yeah... That wasn't happening.... I could never put something in front of my husband for dinner knowing he would hate it. Instead, I chopped and roasted the sweet potatoes, served the red peppers (non-roasted) in a semi-improved vegetable soup using vegetable broth and a handful of veggies sauteed first in a little olive oil, and I added a small salad. Breakfast Day 10 - Fruit Plate with Strawberries, Apples, Grapes, Cantaloupe, and a little Watermelon. 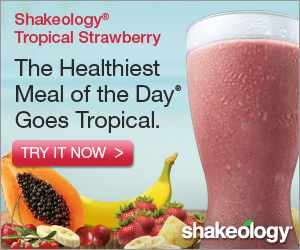 For the record, Watermelon is considered high-GI (Glycemic Index) and thus not technically on the approved Fruit List. But Nick will only eat a limited variety of fruit and I felt it was better to give him variety and keep him interested in the Reset than to make him bored and miserable. No one should suffer just because they don't like a certain food or just because they don't like a large variety of a type of food. Dinner for Day 10 - Quinoa Lentil Pilaf ~ JUST AS GOOD REHEATED! I gave Nick a Salad to replace the Broccoli, which he hates, but I was tired so I didn't eat my whole salad. This gets boring for some people, I happen to like it. Although I normally like oatmeal and fruit or eggs and toast for breakfast. The goal in the Reset, however, is the eat fruit alone in week 2 and 3 to help with the Detox so no protein added at breakfast time or to snacks. Now today (Week 2 Day 4, or Day 11 overall) was supposed to be the Quinoa Lentil Pilaf but remember I had the book on the wrong page for Tuesday? So instead we had half a serving of each, Pinto Beans and Rice and Quinoa Lentil Pilaf. Plus a Microgreen Salad, of course! I ended up changing the recipe when we had it again later. Day 12 Breakfast - Fruit again! I double-checked what types of cooking to avoid with fruit to preserve the most nutrients then decided I wanted something warm. I chopped apples and sauteed with cinnamon, a little Stevia, and a couple of TBSP of water until the apples were warm and just turning soft. I added a couple TBSP of chopped prunes which are similar to raisins in the Plum Amazins variety, but lower in sugar and higher in fiber. I served the warm cinnamon apples with a TBSP or 2 of light coconut milk like I would with oatmeal and I had Strawberries on the side. I put together Nick's lunch and dinner suing a Mr. Bento container and his usual cooler. Jake (above) suddenly started really limping then would not put his rear left leg down at all. He was having trouble standing up, walking, and it was just painful to watch so I took him to the vet. We had been working on his weight and he has his own diet blog (Jake's Diet) and he has hip dysplasia so we knew he had some problems. But this really set in fast! He seemed like he was doing okay, a little tired from anesthesia for the X-rays. He kept whining and whining.... I couldn't get any work done. I couldn't think, I was getting a headache... Friday (Day 12) was the first day I had actual CRAVINGS and I noted that the cravings were primarily for bread or white-carb dough like pizza, breakfast pastry, anything really, even a peanut butter sandwich would have hit the spot! I was also seriously craving Greek Yogurt, which is likely from the lower protein in Week 2. I didn't give in though! I forgot to take a picture of my lunch because I was interrupted by the vet calling to say Jake was ready to go home. Lunch was a Microgreen Salad (Nick had his with Hearty Vegetable Miso Soup as in the Reset menu but I can't have soy so I skipped it). Dinner for Day 12 - Roasted Beets, which I added Sweet Potato to so Nick would eat it, and Microgreen Salad instead of Coconut Collard Greens. Again - I will not put something in front of my husband for dinner that I know he won't like or eat, so I swapped a lot of vegetables for salad. I used an all natural produce wash from Whole Foods Market. After washing fruit I lay them on a towel on the counter to dry. For strawberries and other berries I remove the bruised ones so they are eaten sooner. The rest go inside produce bags like Debbie Meyer's Green Bags or these pink Brawny Produce Bags. I find the Debbie Meyer's Green Bags are the best but they are all comparable. Blueberries... Ewwww look at the dirty water! That was on the FRUIT! YUCK! Although it says "Merlot" the Dressing does not contain wine or alcohol so it still fits the Reset. Bolthouse Farm dressings are the only dressings I use that I like that I believe fit the Reset Guidelines. Saturday was the first day in over a week that I needed a snack (Day 13). I believe I was a bit run down after all the extra work of carrying Jake on Friday. I mentioned he's losing weight and has a Diet Blog, but he's still 45 lbs. and that is a LOT of work for someone on a Detox like the Ultimate Reset. Dinner for Day 13 - It was supposed to be Kabocha Squash with Garlic-Tahini Filling but I can't give that to Nick so we had Black Beans and Rice instead, with Microgreen Salad. Lunch was a bit later, but delicious! Microgreen Salad and the altered Hearty Vegetable Miso Soup. Instead I skipped the miso and seaweed, used vegetable broth and garlic powder, added a few spoonfuls of organic diced tomatoes (low/no sodium) then added basil when the soup was done. The carrots were HUGE! I needed to use two bags, one from each end. It was supposed to be mixed with edamame (soy beans) but I only mixed Nick's with it. and we both had salads. 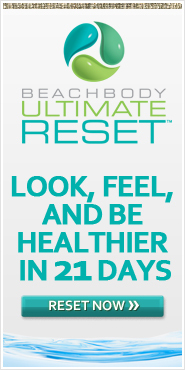 Use this link (below) to find out more about the Ultimate Reset and ask how you can save 25% of your complete Ultimate Reset kit!